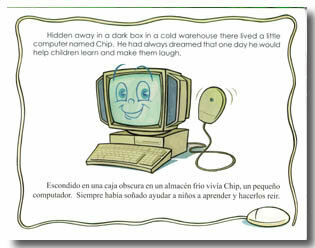 is an endearing story written side by side in both English and Spanish. 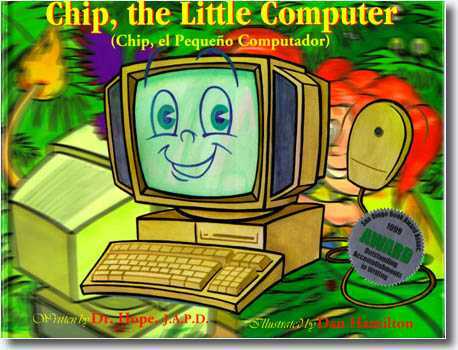 Chip has a dream, to help children learn new things and to make them laugh and play. 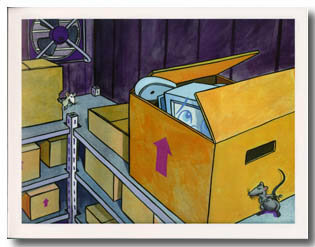 His story starts out in a cold dark warehouse. After countless disappointments Chip is told by a wise old copy machine to have faith in his dream. He learns the power of determination that comes from believing in your dream no matter what happens. The story has a surprise ending. Click here to read reviews. 1999 San Diego Book Award Assoc. Click here to Download a printable full Color copy for FREE! !